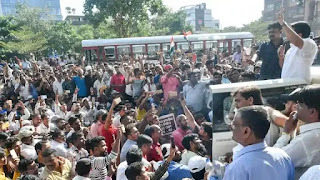 PUNE (MUMBAI): An organisation claiming to work for Brahmin rights Tuesday held a dharna demanding four per cent reservation for the community instead of inclusion in the Centre's 10 per cent quota for economically backward sections in the general category. 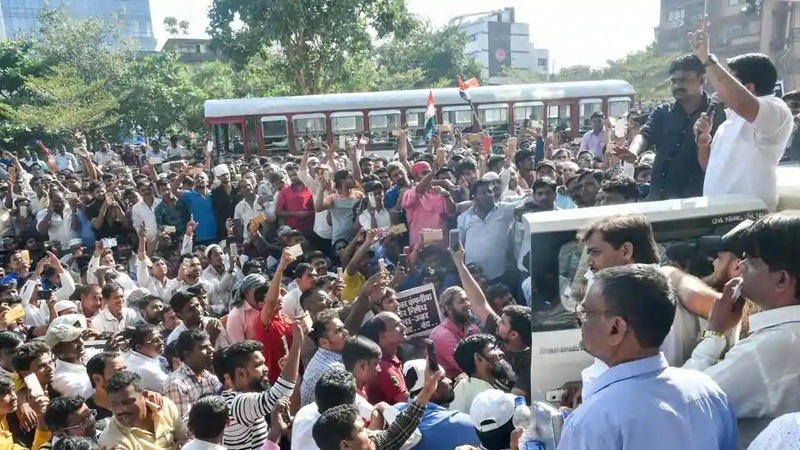 The protest, in Azad Maidan in south Mumbai, by the Samasta Brahmin Samaj Maharashtra, an umbrella body of 24 groups, saw around 1500 people, including priests, from Nashik, Thane, Pune and other parts of the state. A delegation which met Maharashtra Chief Minister Devendra Fadnavis later told reporters that the CM was positive on their demands except that of quota. "We want 4 per cent quota, which is half of the population percentage of Brahmins in Maharashtra. We will intensify our agitation if the government fails to give reservation before Lok Sabha code of conduct comes into force," he said. He added that their demands include creation of a separate financial board for the Brahmin community to help economically weaker sections, a separate 'atrocity act' to protect the community as well as student hostels in every district for the community. The group also demanded free education from kindergarten to post graduation, completion of the Shivaji memorial and Bharat Ratna for freedom fighter Veer Savarkar. Deshpande said the statues of Dadoji Konddev and playwright Ram Ganesh Gadkari should be re-installed. These statues were removed from the Pune Municipal Corporation premises.